Winter, it seems, has returned to Maine. For the past few days, the wind has been blowing hard, and the temperature, with the wind-chill factor, has been below zero. And that’s Fahrenheit, not centigrade. When it is this cold, our wood furnace doesn’t really go through the night, and the house is pretty darned chilly when we get up in the morning—below 60°. Another word we Mainers use to describe the cold is brisk, as in, it’s wicked brisk outside today. And indeed it was brisk, brisk, brisk today, this Monday morning, when I made my tea and toast and headed to my office. 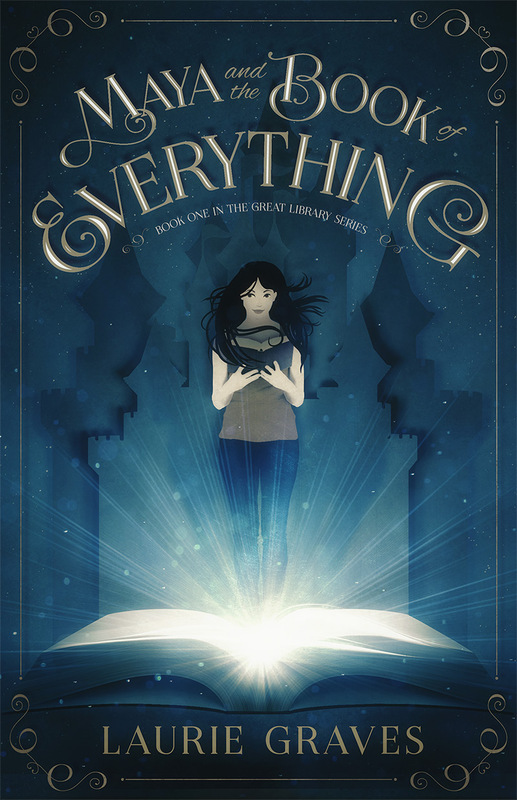 Melissa writes, “I was really looking forward to reading Maya and The Book of Everything by Laurie Graves in a way I hadn’t looked forward to reading a fiction book in a long time. Even though it’s a young adult fantasy novel and a gift to my 13-year-old daughter, something about the plot caught my attention. The cover art charmed me also and I ended up reading it before she did. Merci beaucoup, Melissa! What a great way to start the week. laurie on Hi, Ho! It’s Off to UMO I Go! Copyright © 2019 Laurie Graves. All rights reserved.